An extremely common goal for riders looking to improve around the track is to ride faster than they did before. Among these riders there will be many (probably most) that will know that the road blocks to improving and riding faster are mental ones, meaning they don’t yet have the confidence to use more of the bike’s potential – potential they likely realise they have a lot of. This leads riders to the approach of attempting to force speed – largely in the way of running into corners faster, or getting on the throttle earlier. The trouble with this approach is that if the fundamentals aren’t learned and practised with a degree of competence, while adding speed to the equation may well show them a better number on the stop watch, it’ll also likely have them making bigger and more frequent mistakes. And on a motorcycle, mistakes often come with pretty unfavourable consequences, so we always want to try and keep the mistakes as small and as infrequent as possible. So the basis of ‘do it right, then add speed’ is to reach a good level of fundamental understanding and practical application BEFORE you begin forcing yourself past your previous limits. Now, when I say reach a degree of competence, I don’t mean that things have to be perfect before you start attempting to ride faster. 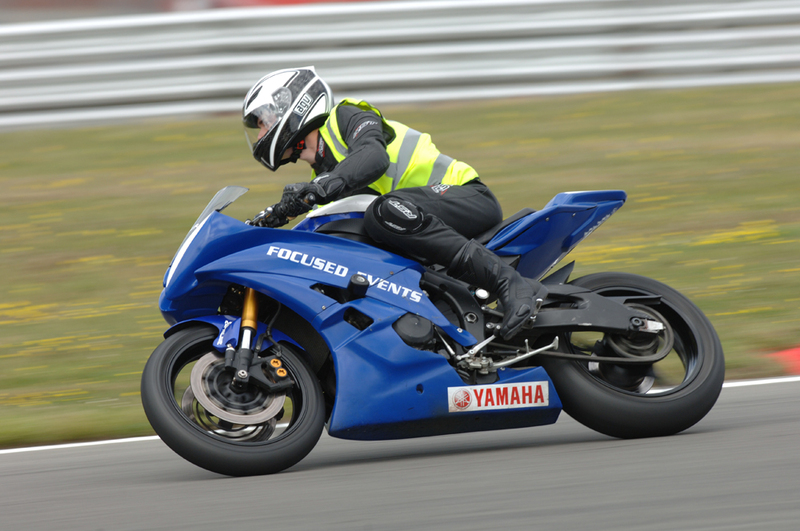 If you can simply understand what we should be doing and why, and then perform those tasks somewhere close to the ideal then you are going to be riding safer than a good portion of riders on any given track day. Not to mention you will have laid the foundations to push to an even higher level than them while making fewer mistakes on the way. And this isn’t an approach reserved purely for novice group riders. In my experience, you can still be working to reach a good fundamental level and be riding in the top group on a given day. And that’s a point I want to hit home here. I’m not telling you to ride slow before you get to a certain stage. As you work to improve your degree of competence you will naturally begin to ride faster as you gain confidence in your level of control with the bike and as your sense of speed improves. The message here is that I don’t want you to force speed into a situation where it wouldn’t be welcome. And speed isn’t welcome in areas where the speed cannot be confidently controlled. To give an analogy in another sport, when you head to a golfing coach and tell him you want to drive the ball 50 yards farther, 9 times out of 10 the coach’s course of action will be to teach you a better level of control. He won’t simply say “well just hit it harder”. Oftentimes with that greater level of control the result will naturally come, and then when the control is there the golfer can work to swing harder to gain the last bit of distance they need. The very first step in this is to actually spend time learning what is expected of you on the track and gain a good level of understanding of the actual riding. I disagree with anyone who says that the only learning for this sport should come from the track and that you should just get out and ride. While you probably wouldn’t have to look too far to find someone that reached a high level with zero coaching, that path is typically met with far more mistakes and higher consequences as a result. Next, you need to begin applying what you’ve learned and working to reach a fundamentally good standard in each area of track riding – comparing your riding to what you know to be correct from your learning. Now, if you’re a newer rider to the track, it’s very likely that you would be able to make improvements across all the fundamentals. That being the case you would simply need to work on each area, ideally working on the more important ones first (e.g. vision, throttle control, steering) in order to bring them all up to the point where you were riding fundamentally well. In truth, this path alone will likely take that rider well into the middle intermediate group, possibly even the fast group depending on how much general confidence they’ve gained in the bike and how well they’re learning to best use the fundamentals on the specific track they ride. And this is probably the most exciting period as a track rider, because you begin to see the penny drop in many key areas as you understand how they apply in a live environment, but also because from those realisations can come substantial progress in little time. As such, you find yourself taking chunks off your lap times, not simply a few tenths. In my opinion this is the best and safest way to approach track riding as a learning rider because as you’re working to apply the fundamentals, just by reaching a point where you’re applying them correctly it means you won’t be moving unnecessarily close to the limits of grip (or far less frequently, at least). You’re just looking to do things a certain way e.g. use hard brakes earlier, steer at a different point or look at a different spot at a different time. Like I said before this acts not only as a safer way to improve, but also it acts as a great platform to search for more speed later on down the line because you’re doing a much better job of giving the bike what it wants. When the time comes that you more consciously push the amount of potential you’re using from the bike and tyres, you’ll be doing it in a much safer way. When most track riders have many responsibilities away from the track, this is the approach to progress I would always recommend. Where Does ‘Quick Steering’ Actually Help Us on the Track?